Argh! The holes in the power buses don't line up with the rows in the main area. Not a big deal for most cases but it means stuff like the breadboard power supply PRT-00114 won't fit. What is the maximum allowed current to put through this breadboard before it burns and melts? Happily, these boards seem to perform better (less insertion force) for me than the more expensive 3M breadboards I've used. Also, at this price I can leave the board in my project rather than reusing it. Note: like most breadboards, these boards don't have a ground plane, which hasn't been a problem for my projects so far. any smaller than 22AWG and the gripping goes down. DON'T expect these to hold resistors, caps, etc. Handy, and it can be disassembled. You can easily remove the narrow outer panels if you want to create separate narrow bus bars. This breadboard works well for what I need. I am trying out different microcontrollers and, of course, breadboarding them. I connect breadboard-friendly MCU's to a set of test LED's which are installed on the breadboard. Each half of the breadboard can be fed different voltages on the power rails. The holes in the breadboard are a little tough to use at first but they work. Overall, they represent an excellent price point. I wish they were shipped in thin sandwich bags because that would save on packaging waste. 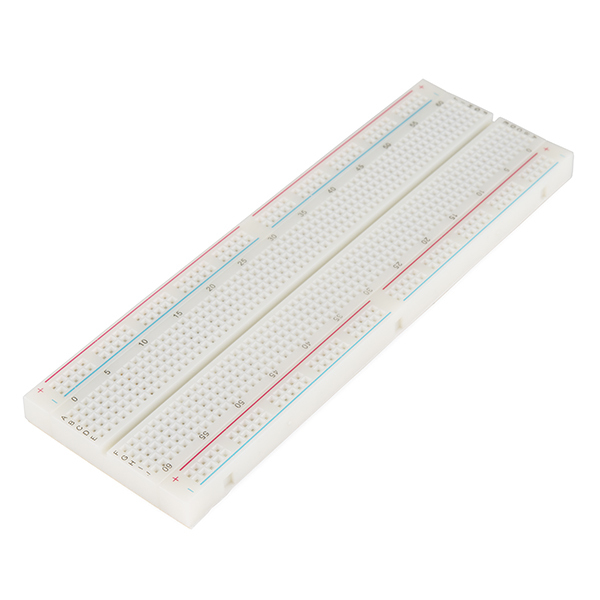 This product acts like two 1/2 breadboards connected the long way. I had to run jumper wires for the power and ground on each rail to connect the top half to the bottom half. 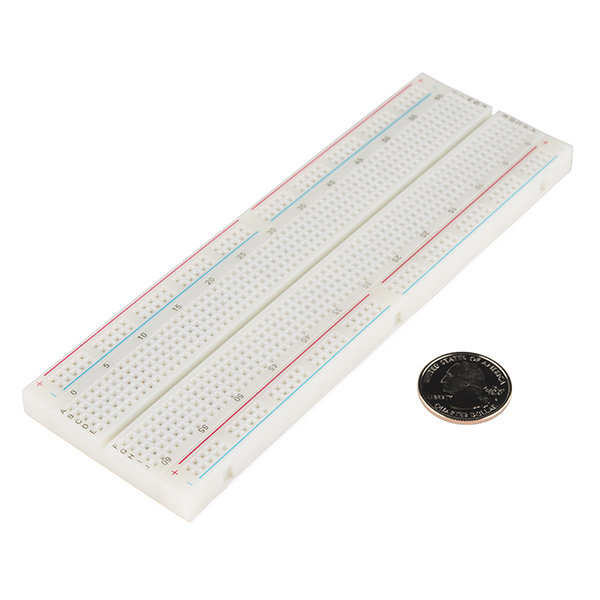 Normal (all past) full breadboards have full length power/ground rails, not two 1/2 length rails. This shortcoming IS NOT DOCUMENTED. Also, pin insertion is very difficult, often causing pins to bend. These breadboards work well, only issue I had was I melted one but that was my fault. I recommend getting 3 or so if you plan on having multiple projects at the same time because its easier than trying to squeeze them onto one, risking a short from touching leads maybe, or reassembling them each time you switch. Left and right ends of the pos and neg are not connected are not connected. Things were much better once I figured that out. The board holds standard pins and jumper cables fine, but would not grip my resistors at all. I have a few other breadboards which have no problem gripping the same resistors, this board is just too loose. 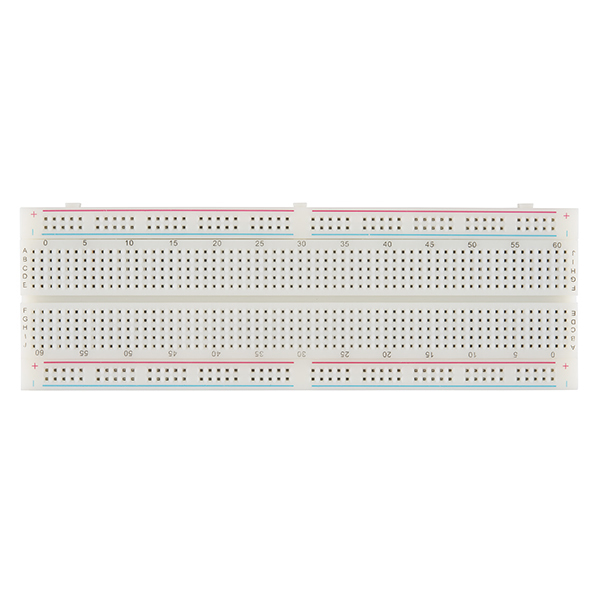 its a breadboard, only issue is you have to connect the positive and negative terminals in the middle, not just at the ends. I recently had to upgrade my PIC programmer from a PIC START Plus to a PICKIT 3 (PK3) to support newer devices. The problem being the new PK3 does not have a ZIF socket like my old one but five connections to be made to the PIC. This holds the chips well and allowed making the five required connections without issue. So far this has been used to program five older PIC's and 3 newer ones up to 28 pins. I mean, its a bread board.... plain and simple. 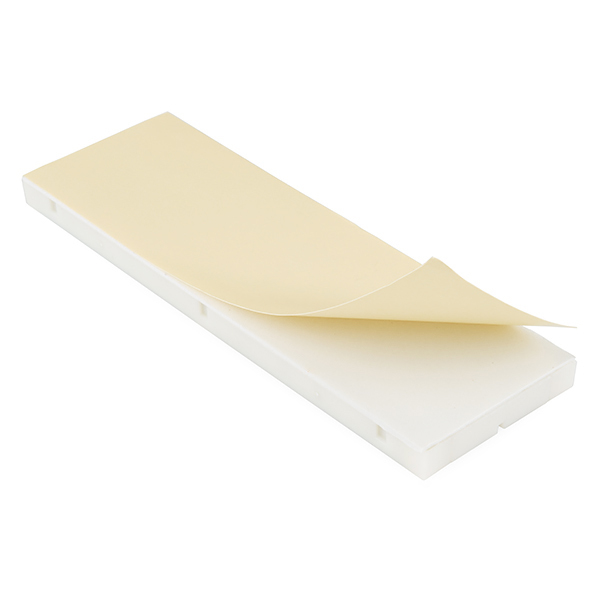 I was able to Prototype my project Quickly and easily. It's a breadboard. The best thing you can say about a breadboard is that it didn't fail. And mine hasn't, yet. Which... makes it adequate. What more do you want? Thank you for Quick Service! Nice board. I purchased it for experimenting with a small PSoC evaluation kit. It serves this function okay, but I wish there was a version where the center aisle was wider. With this board you really only have access to two pins on one side and one pin on the other. It would be nice to have access to all four pins on each side. I'll keep looking; in the meantime this board will suffice. It does work perfectly for DIP devices though which wouldn't be easy or possible with a board that had a wider aisle. Two half-size boards; one with a wide aisle and the other with the standard width paired together would be perfect--best of both worlds. The board has plenty of space for my projects, and it does its job pretty well. I do have a little trouble putting my cables in it as it is a little tight, but that could be a good thing too, in many ways. One of the ways is that the cables are a little harder to accidentally pull out. Great boards at a reasonable price. I now have several around, and making life much easier with the many projects I have going. This breadboard is really handy. I needed to experiment with some components including an Arduino Pro Mini and I didn't want to commit the design to solder until I proved to myself that it would work. This breadboard came to the rescue. Works great!!! Cannot beat the price. Thanks SparkFun.